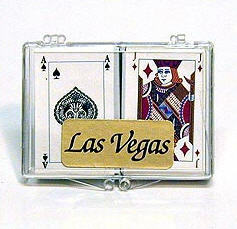 Get the perfect thing to complement your Vegas themed party. 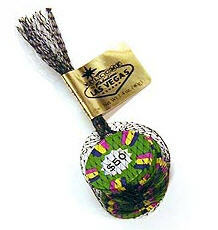 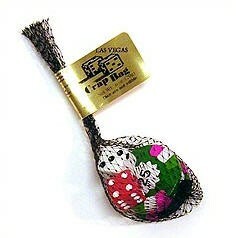 Get our Chocolate Casino Chip & Dice bags to give out as party favors. 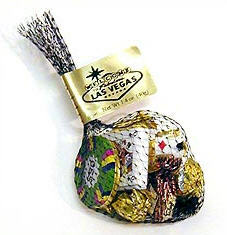 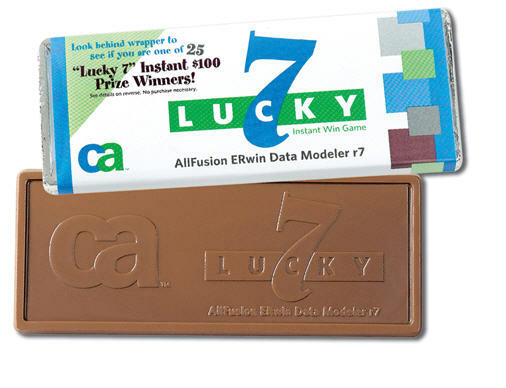 Each mesh bag contains 3 chocolate chips and 2 real dice. 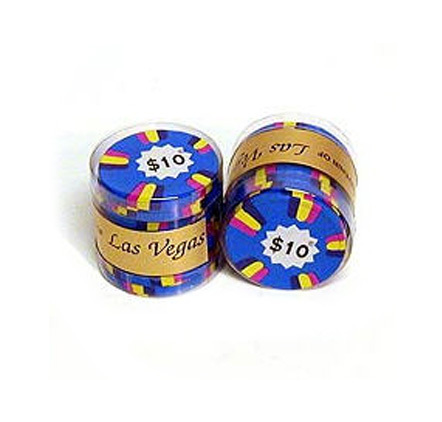 The 1.5” poker chips come in assorted denominations and are wrapped in different colored foils. 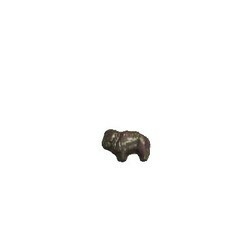 Size : 1.5" D (Kosher OU-D) - Dice: 1.25" x 0.75"
1.5" D (Kosher OU-D) - Dice: 1.25" x 0.75"